SAO PAULO (AP) — An ex-wife of a leading Brazilian presidential candidate disputed a news report Tuesday that she accused him of sending her a death threat amid a legal fight over their son’s custody in 2011. The newspaper Folha de S.Paulo reported that Ana Cristina Valle had told Brazil’s foreign office she left the country because of the threat by far-right congressman Jair Bolsonaro. After the story was published, Valle used Instagram to say the threat never happened. Valle is running for a congress seat for Rio de Janeiro state and uses Bolsonaro’s surname in her campaign. 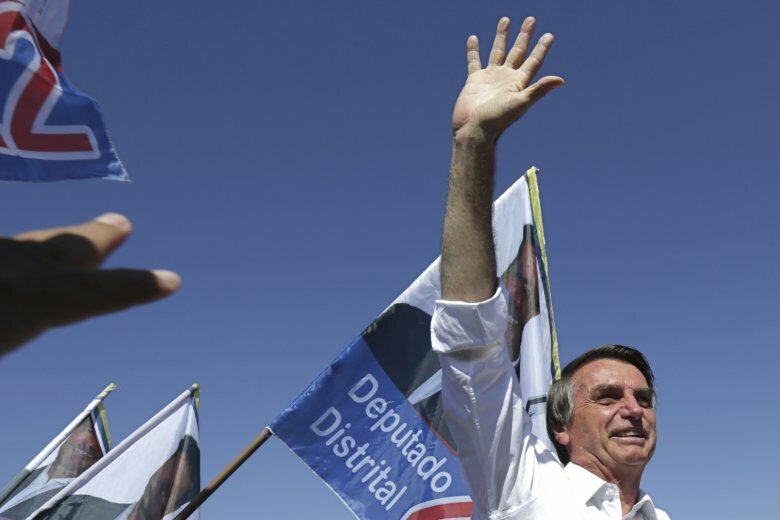 Bolsonaro, who is one of the front-runners in the presidential race for Brazil’s Oct. 7 elections, is still in the hospital recovering from being stabbed at a campaign rally early this month. The newspaper said a telegram it obtained at Brazil’s foreign office says Valle requested political asylum in Norway as she battled Bolsonaro over their 12-year-old son. According to the document, “Valle said she left the country two years ago ‘for receiving a death threat’ from the child’s father.” Brazil’s ambassador to Norway at the time confirmed the story to the newspaper. Valle denied that accusation was true. She did not discuss the authenticity of the telegram in her video. Recent opinion polls have Bolsonaro and left-leaning Fernando Haddad as the leaders in a field of about a dozen candidates. With it unlikely that anyone will get 50 percent of the votes in the opening round, the top two finishers will advance to an Oct. 27 runoff. Bolsonaro’s tough talk has caused him problems with some women voters. An Ibope poll published Monday said 50 percent of women had said they were sure they would not vote for him. On Saturday, protests are planned in dozens of Brazilian cities by women who oppose him. Women have also promoted the anti-Bolsonaro hashtag “not him” on social media.